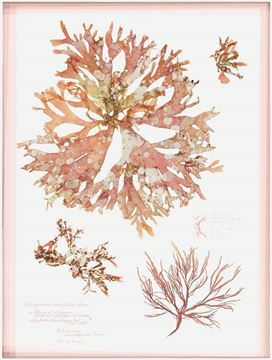 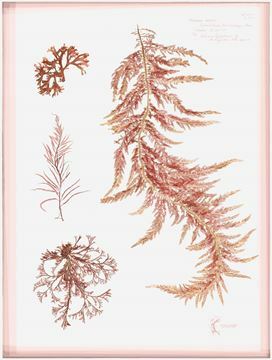 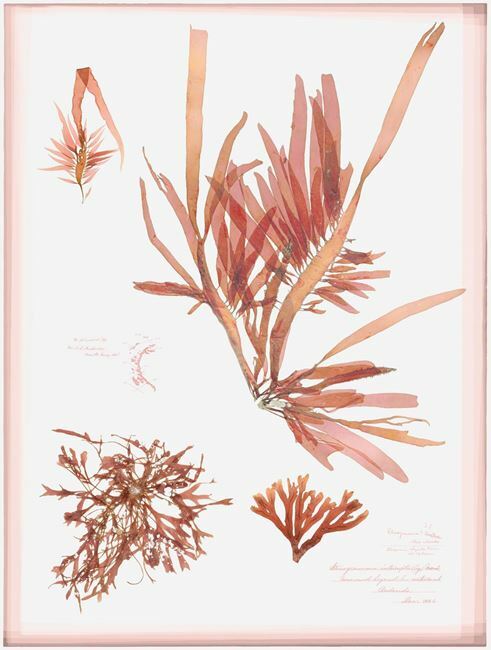 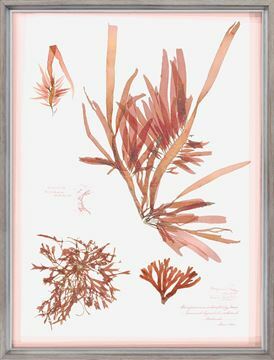 The beauty of the sea is evident in each of these three coral and seaweed pressings. The clear rose, blush, and coral tones are so fresh against the soft ivory ground. 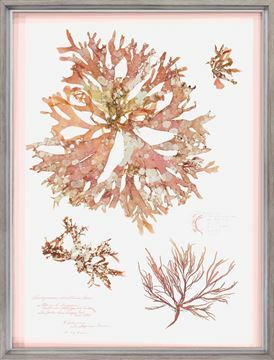 Each piece is made a little more contemporary with an overlapping coral shadow around its edge. 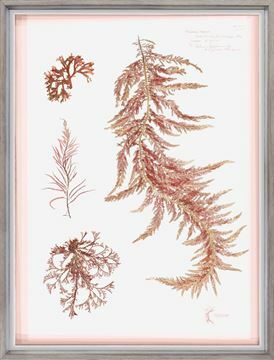 Also available on paper under glass.